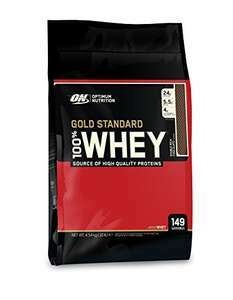 It's an amazing deal - normally 4.54kg of ON Whey is well over £85. Save an additional 20% on your first subscription of selected products when you enter promo code 20SNSPRIME at checkout (the "Offer"). This offer ends at 23:59 GMT on Sunday, December 31, 2017. Select any one of the selected products on this page (each a “Qualifying Item”) to subscribe. [See below on this page for the set of selected items]Choose the Subscribe & Save option on the product page, select your delivery quantity and schedule, and add the items to your Shopping Basket by clicking the “Subscribe Now” button. When you’re done shopping, click the “Proceed to Checkout” button.At checkout, enter 20SNSPRIME in the “Gift Cards and Promotional Codes” box. The Offer discount will be automatically deducted from your first subscription order.The Offer only applies to Qualifying Items dispatched from and sold by Amazon at the website www.amazon.co.uk. The Offer does not apply to purchases made from Amazon’s Warehouse Deals or from third-party sellers on Amazon’s Marketplace platform.Each customer can claim up to a maximum of 1 product subscription, and it must be claimed in one single customer order. This offer is only available to customers with a trial or paid membership to Amazon Prime or Amazon Student, and with no previous subscriptions. Cheers, buddy. I might just grab this, as MyProtein deals were cheaper on …Cheers, buddy. I might just grab this, as MyProtein deals were cheaper on Sat and Sun. They upped my baskey by £4. Cheeky sods. Really? Pls correct me if wrong I thought It was always same price? Cheers, buddy. I might just grab this, as MyProtein deals were cheaper on Sat and Sun. They upped my baskey by £4. Cheeky sods. It's usually the 74 servings tub that's this price. 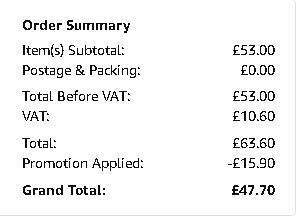 It's showing as £63.60 for me, even as Prime. You have to do the subscription malarky. Kind if a hassle, but worth it. I know. I used to use it, but ditched it due to the price difference. Code not working here either... how does the subscription work? Can I order then cancel straight away? Code not working here either... how does the subscription work? Can I …Code not working here either... how does the subscription work? Can I order then cancel straight away? Yes you can. It's not working for me because I have already used subscribe and save on my account. Just make a new account and order. Yes you can. It's not working for me because I have already used subscribe …Yes you can. It's not working for me because I have already used subscribe and save on my account. Even with a new Prime account, it is not working. It's a shame, but still a decent price without the extra 15% off. Even with a new Prime account, it is not working. It's a shame, but still …Even with a new Prime account, it is not working. It's a shame, but still a decent price without the extra 15% off. Look at what I wrote... lol. This is a cracking price. Has it worked for anyone else? I made a new account with prime membership but code doesn't work. I get standard 5% discount for subscribe and save. Heat. Arriving 2nd Jan at the moment though. This stuff goes really well with WOO! I've seen that source before which is why I was questioning how this stuff is 100 x better. I think people just think twice the price, must be twice as good... which isn't always the case. "Save 15% by signing up for 5 products "
We are talking about the additional 20% off with the code. Better than myprotein but not 100 times better but doesn't have to be at the reduced price. So can I subscribe order 5 and then cancel the subscription?